The day your Soft-Coated Wheaten Terrier came home for the first time, your life changed in many ways that you never possibly could have expected. You’ll never forget that day. 1. Strangers can’t resist touching your dog. Having a Soft-Coated Wheaten Terrier means that you can’t go to the park without someone stopping to pet your dog. That’s just what happens when your dog looks like a giant teddy bear. We can’t help but notice that kids rarely stop to pet our dogs without asking first. It’s always the adults that try to sneak a touch. It’s a good thing our Wheaties love attention! 2. You spend more money at the groomer’s than on your own haircuts. You know the importance of keeping up with that fuzzy coat. You go to the groomer every 6-8 weeks to keep your Wheaten clean and free of mats. Sure, they’ll roll in the yard to regain their stink as soon as you get home, but you love that freshly groomed look. The price of grooming may have been shocking, at first, but you realize that a human hairdresser only has to cut hair on your head; your Wheatie’s groomer may take up to an hour taking care of the dog’s coat from nose to tail. It’s so, so worth it! 3. You sometimes worry your dog might be smarter than you. Your clever terrier picks up new tricks quickly, and didn’t take long to potty-train. 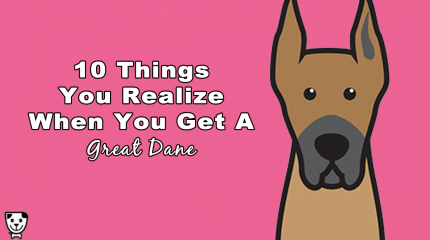 However, you didn’t anticipate how skilled your dog would be at training you. Those big brown eyes slay you, and you can’t help but tuck them in at night, play on demand, and otherwise give in to that lovable pup. 4. You’re concerned you might actually own a human in a bear suit. Something about the way your Wheatie looks at you tells you that they understand. You may have owned other dogs, but this one is just different. They’ve learned to communicate you in subtle ways – and have captured your heart in a way that you never expected. 5. You’re prepared for Abominable SnowWheatie days. Your terrier’s long beard and soft coat collect balls of snow in the winter, but that doesn’t seem to stop them from enjoying the snowdrift. You’ve been practicing a gentle, yet effective method for plucking those snowballs off your Wheatie. A cold, snowy pup is nothing a warm towel from the dryer can’t fix! 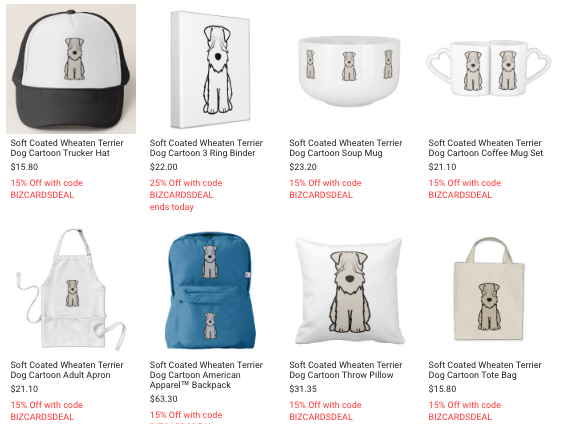 Shop over 500 Soft Coated Wheaten Terrier Gifts At The Dog Breed Cartoon Zazzle Store! 6. You’ve never slept better. All Soft-Coated Wheaten Terrier parents know that they love sleeping under the covers with their head on a pillow, just like a human. That warm, fuzzy body is perfect for spooning. You’ve haven’t had a bout of insomnia since your buddy crawled into bed with you for the first time. 7. You’ve negotiated with a terrier. As sweet as they are, Wheaties have a double dose of terrier-tude. It’ll take a long time, if you’re ever able to trust them off-leash. Like a typical terrier, a Wheatie loves to chase small animals, and is virtually unable to hear you when you try to call them off an interesting scent. The only way to get your Wheatie to listen? Delicious treats! 8. You’ve been kissed by a drippy beard. Even the ladies of the Wheatie world sport a handsome beard. This lovely, long beard gets dunked in the water whenever your dog takes a drink, making puddles all over the floor. Sloppy, wet beard kisses are an inevitable part of Wheatie life. 9. You now know that “low-shedding” is a joke. Many terrier breeds are rumored to be non-shedding, and the Soft Coated Wheaten Terrier is no exception. 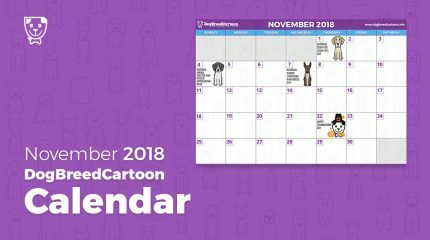 However, you’ve learned to stop wearing dark clothes, and have started to match your decor to your dog’s coat to make the endless strands of fur less noticeable. 10. 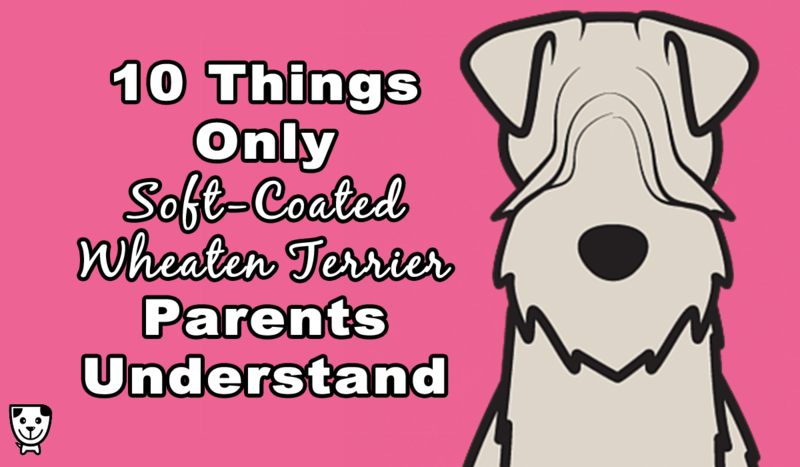 You always get Soft-Coated Wheaten Terrier gifts… and you’re just fine with that. On holidays and birthdays, you’re sure to get some adorable Wheatie-themed presents from friends and family members who know you’re obsessed. The one Soft-Coated Wheaten must-have you're missing? A custom cartoon! I’m surprised at the low shedding thing. Our Wheaten doesn’t shed at all. The only hair we see is in a comb from combing out knots or when we groom him (obviously). Our Wheatie does not shed at all either! Great article…..made me laugh, yet so true!! Thanks for a nice article that made me laugh. But like the above my dog doesn’t shade either, except for the hair in the comb. The Wheatie is full of energy and surprises even when they get older. Many people think that may 9 year old Wheatie love is 3 years tops. The Wheatie, as told in the article, is very intelligent, you can teach them almost everything only your imagination will stop you. My Lucy has never shed a hair! Otherwise, this is all perfectly correct! My girl doesn’t shed, I don’t get some of these. Number 7, absolutely. She forgets her name when interested in something else. Hahah ! Yes!!! She doesn’t shade tho …perfect for our family with asthma and allergies . This is so funny and truth ❤️❤️❤️✌? Our Wheaten is 12 years old and often acts more like 2. We love him dearly. Can’t imagine our lives without him. He has never greeted me with the Wheaten Greetin but everyone else pretty much is. He assumes that every one who comes to the door is there only for him and he acts accordingly. His tail never stops waving. The Peter Pan of the dog world. We would very much like to have a companion Wheaten for him. No shedding with our Wheaten either. ( we brush and comb 5 x a week). Where’s the Wheaties Welcome? We see no shedding just hair in comb after comb out. Number 9 is the only one I don’t agree with. The rest are sooooo true!!! So funny! We adore our Wheaten too and she has never shed either, only on the brush. I am surprised that nothing was stated on the wheaten sleeping pose or the zoomies. At 7 our girl still has the zoomies and sleeps in the oddest positions! Love this breed and our sweetie wheatie! Great article, but my wheatie does not shed at all. 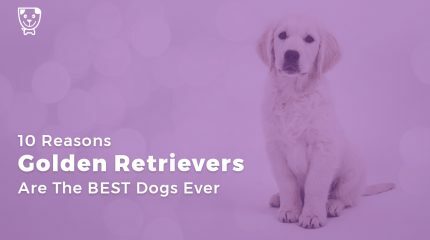 Best breed!!! I shed more than my Wheaten! Other than what comes out in the comb — which is actually dead grass, twigs, pieces of mulch, and various other things she’s rolled in — there is barely a hair shed! Susan if you are crazy so are we. We lost our beautiful boy August 28. He would have been 11 tomorrow. We are both 65 and have decided our home is not home without a Wheaten. We worried about getting another puppy too but hopefully we will stay healthy. Susan, I understand completely as I am in the same boat. We lost our beautiful girl this summer, she was 14. I too planned on waiting. Our house is just too empty and…we will hopefully have a Wheaten puppy this in the next few months. I am so excited! My heart is still broken. I had to say an incredibly painful good-bye to my best girl, my 12 1/2 year old Daisy, early this September. The happiest dog in America and my constant companion. I’ll be moving to an apartment this spring and can’t imagine another breed of dog as communicative and full of life as a Wheaten. I will have to save my pennies and get a miniature Wheaten, or a miniature WheaPoo although I’d rather rescue. I’m 62, very active, and simply too lonely without this zoomy, happy bundle of joy and love. I love reading of others who share the never ending love of a Wheaten! It warms my heart to hear these stories! Especially the sleeping poses. The best dog ever! I became the happy owner of my 1st Wheaten 6 yrs ago. He changed my life…. all for the better. Introducing him to friends, who naturally fell n love with this breed, I will soon be a Wheaten grandma! So excited to experience two adult Wheaten’s, can’t imagine what a litter of Wheaten pups will be like. I can’t afford to keep them all, finding homes will be difficult as I will love them like my other two. Wishing a happy early birthday (first week of February) to these special gifts! My wheaten doesn’t shed either. 14 years old and still spins doughnuts when we come home. I’m surprised that the wheaten greetin and crazy antics after a bath weren’t mentioned. Didn’t take long to potty train? Our breeder warned us, but we’re nowhere near. The vet and the puppy trainer both said we’re doing all the right things. I know she’s only five months, but Tooraloo is making our lives troublesome. Yes, she’s a bundle of beauty and joy (with no shedding.) Has anyone else had this problem, and if so, do you have any suggestions? Denise, my Jackson is 1 today. And I can honestly say it has taken forever to housebreak him! He finally has it! He is a bundle of energy and always finds something he knows he shouldn’t have just to make us chase him! He is constantly happy and mischievous, and makes friends everywhere we go. I love his kisses and his cuddles and crazy antics! They simply are the very best!! We have had 6 Wheaties. We have fallen in love with the breed and will have no other breed. Our girls have been the love of our life. I agree with everything that has been written. They do not shed except for the undercoat you pull out when you groom them. Once in a while I will find a hair knot that one of mine has “shedded” off. How many of you have a Wheatie that sleeps froggy style? 4 of our 6 have done that. It is sooooo cute! They are our children in fur coats. They are pretty much perfect!! We even have a license plate that says Wheaties. We have a boy (14) & brought in a girl (1) last year. We are looking to add a 3rd so the girl has a life-long companion. Any suggestions if the new puppy should be a girl or boy? Our 14-year old is so tolerant of the puppy. I feel bad at times as it’s like putting a 90 year-old man with a 5 year-old girl all day, but he gets after her as much as he can during play time. We experience no shedding, but lot’s of leaves and stick dragging. Thanks for any advice. Doesn’t shed. But she loves greeting all people!